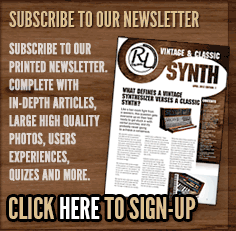 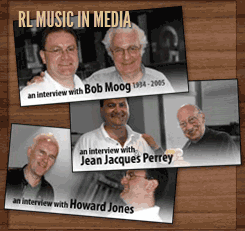 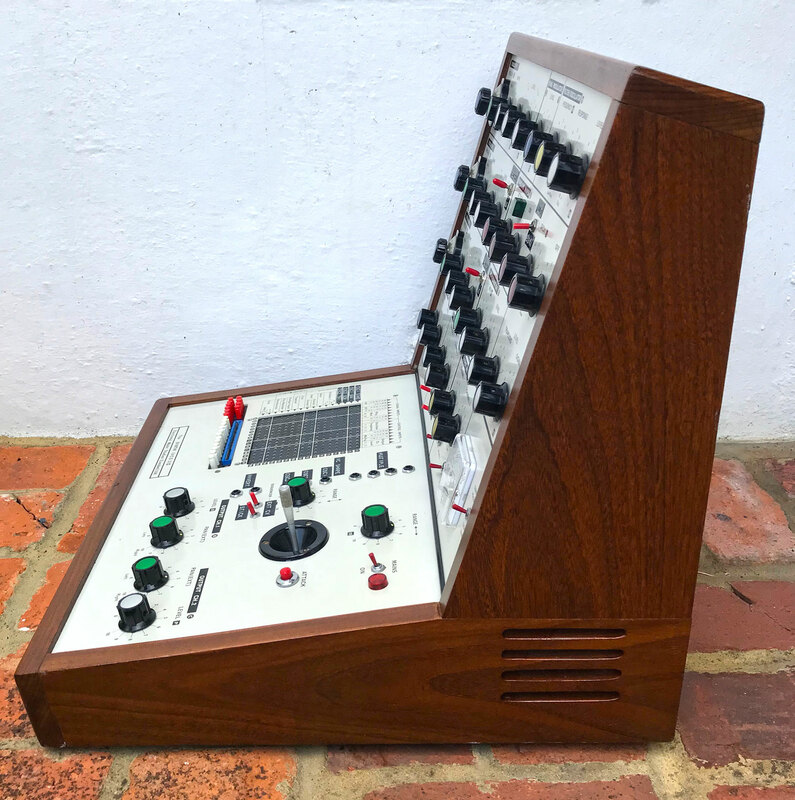 Came into stock: Available from RL Music as at 19th October 2018. 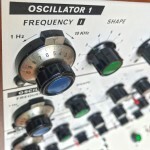 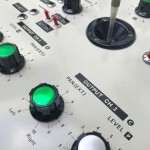 Restoration Status: A full health-check by KSR has been carried out, so the VCS3 Mk2 is ready for sale now! 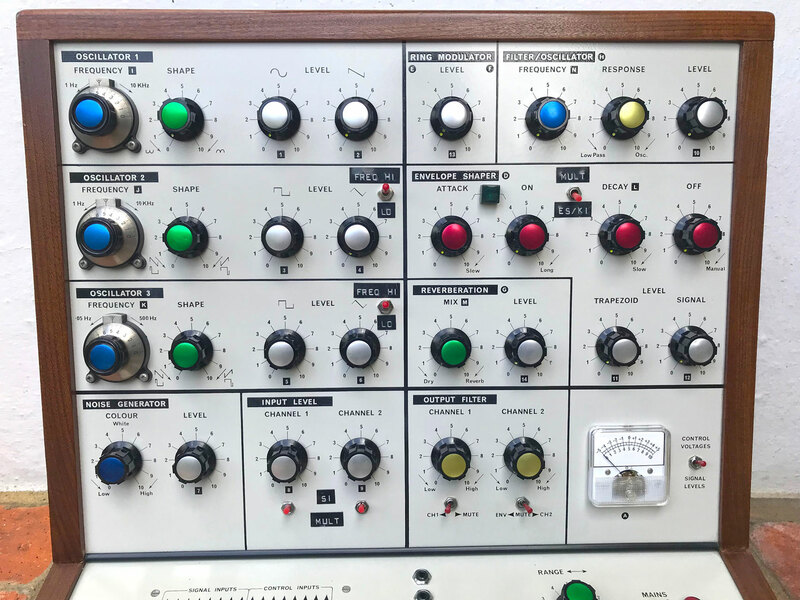 Remarks: We are delighted to offer you another rare opportunity to own a (manufactured in late 1972) EMS VCS3 Mk2. 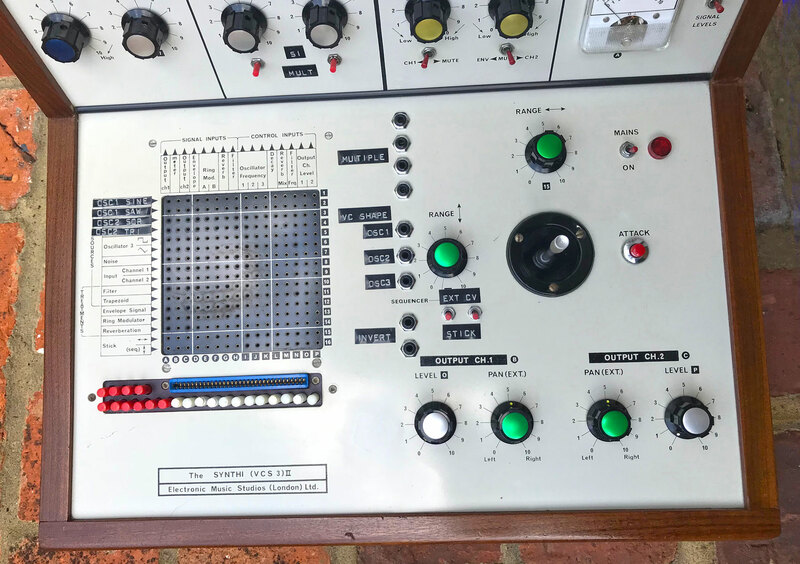 This VCS3 has a fascinating provenance as it was once owned by the composer, Edward Williams, a former owner of EMS in the 1980s. 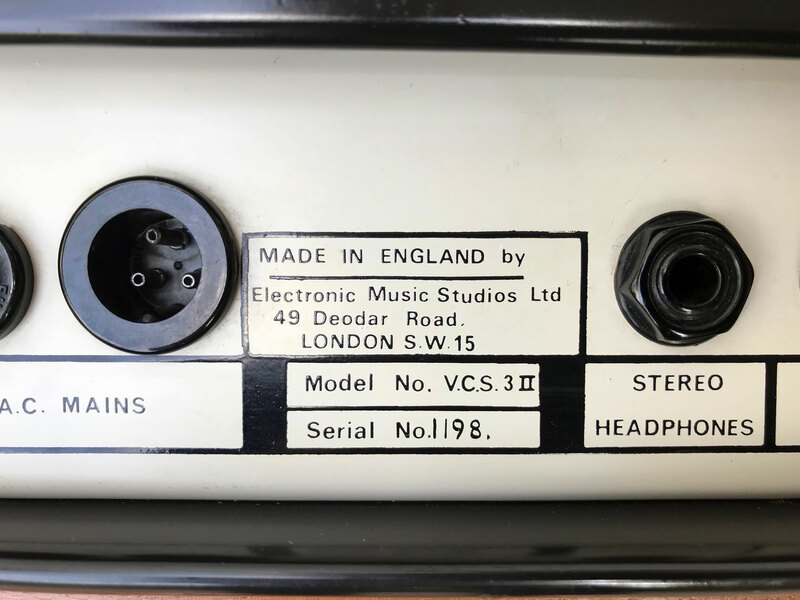 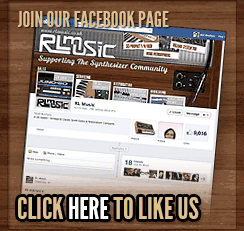 It was serviced by Robin at EMS in 2016 and has been modified (also by EMS) with a host of useful upgrades. 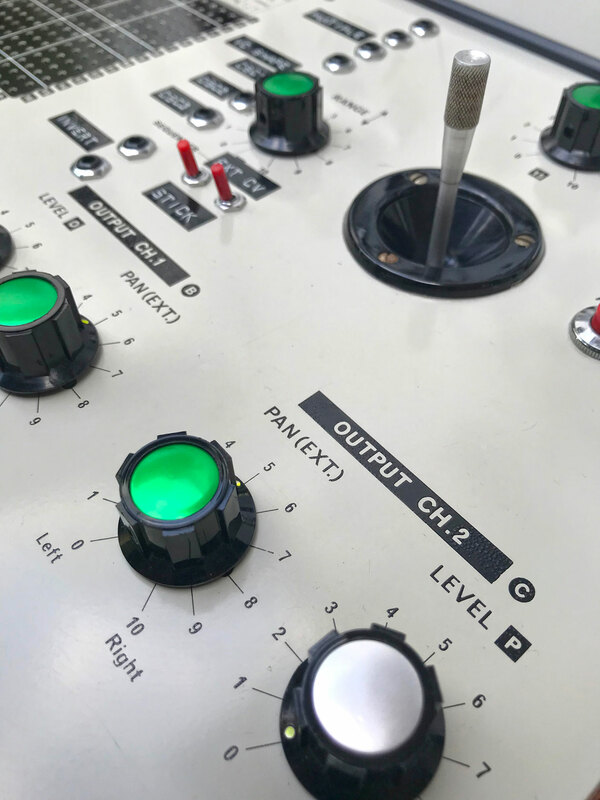 The cosmetic condition is excellent, and the photos we have taken clearly show very little wear to the main control surfaces (front & rear). 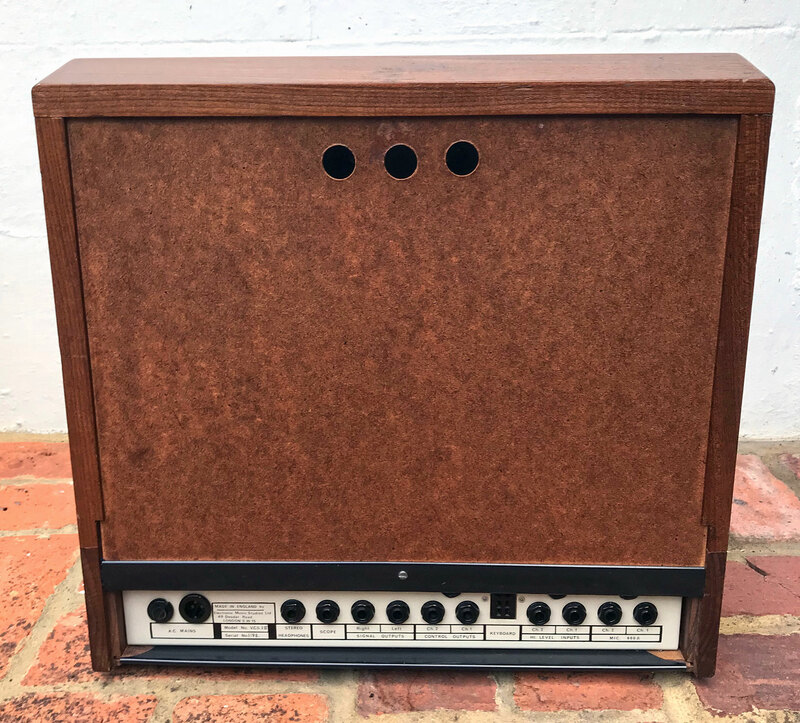 The wood cabinet is completely original and has not had any restorative work carried out, so shows a natural patina, and as you can see from the pictures below, is in fantastic condition. 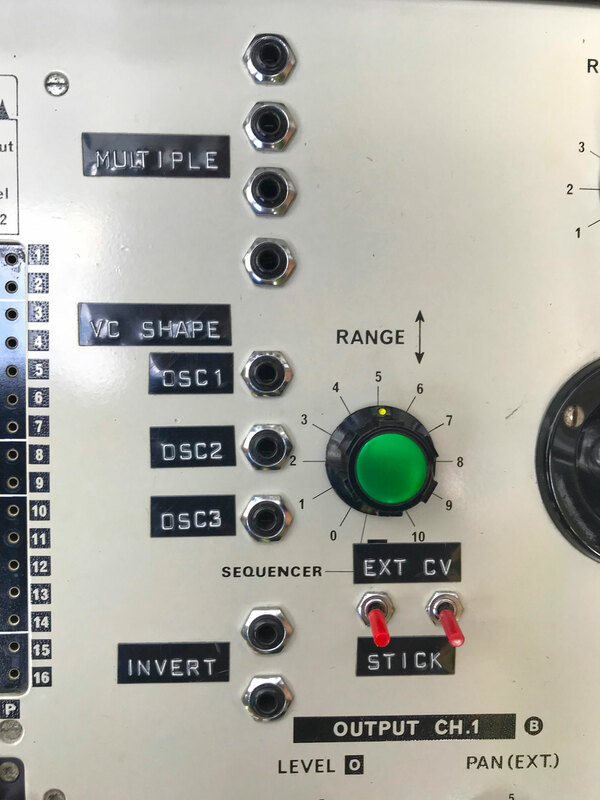 All the controls and pins are present. 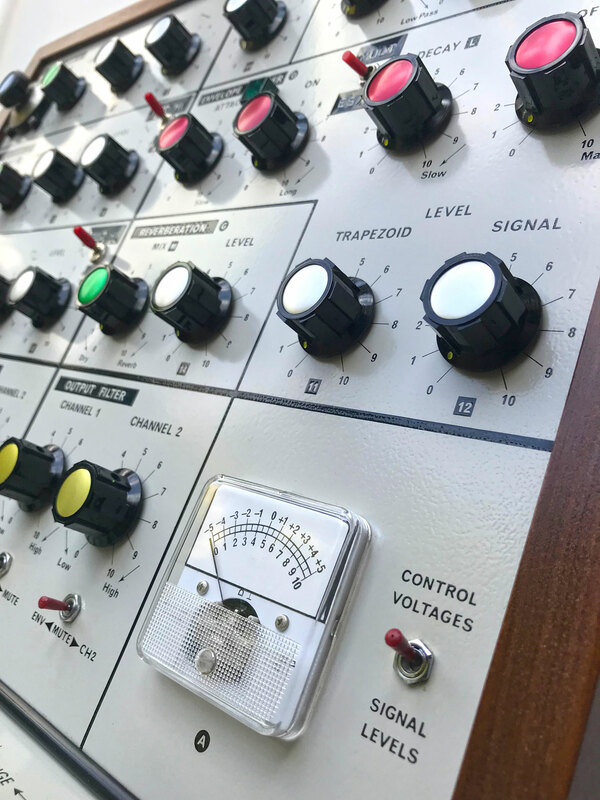 The VCS3 works flawlessly. 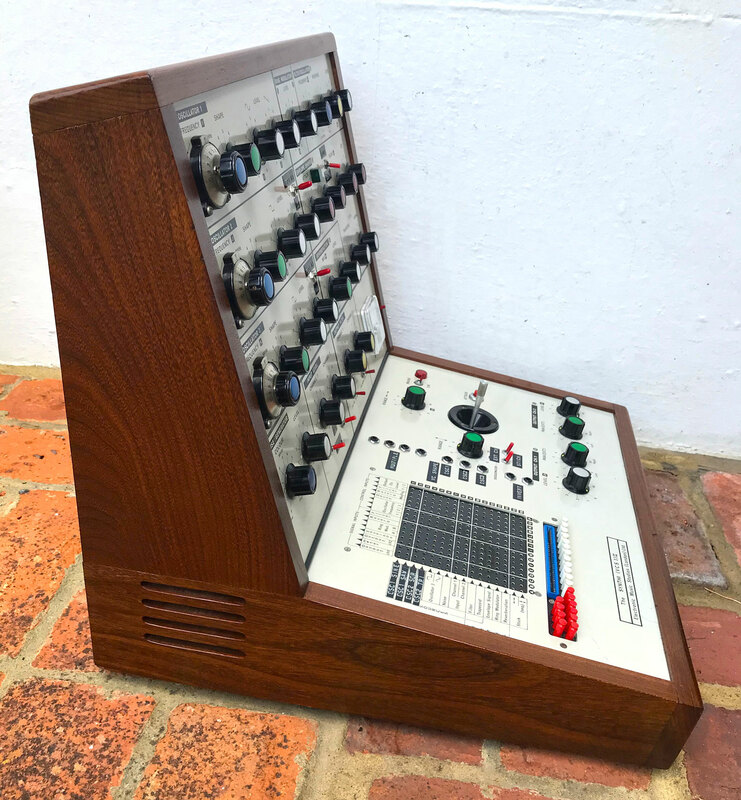 KSR has just carried out a detailed health check and could find “nothing to report” on this instrument…not bad at all for 46 year old synthesizer! 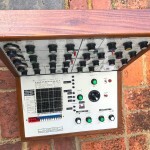 It has very clearly been very well looked after. 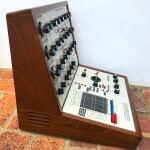 * Two extra input channels (fitted on back panel for CV or line level audio, joystick position to control levels!) 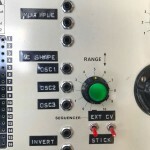 with switch EXT CV / STICK. 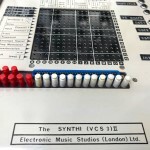 * “Multiple” – four 3.5mm jack sockets wired to each other to act as a CV splitter when patching the mods together – control several things at once, for example. 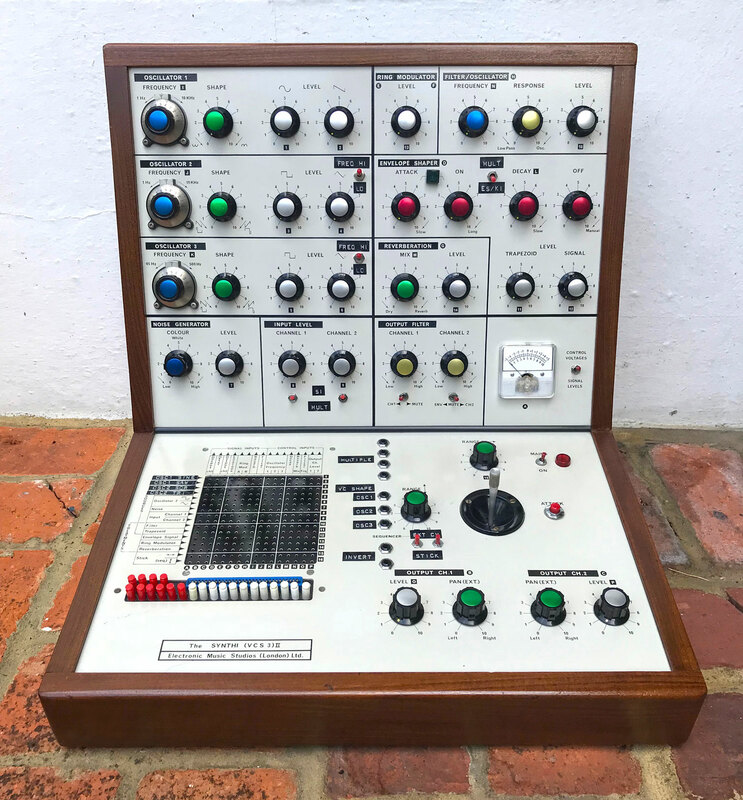 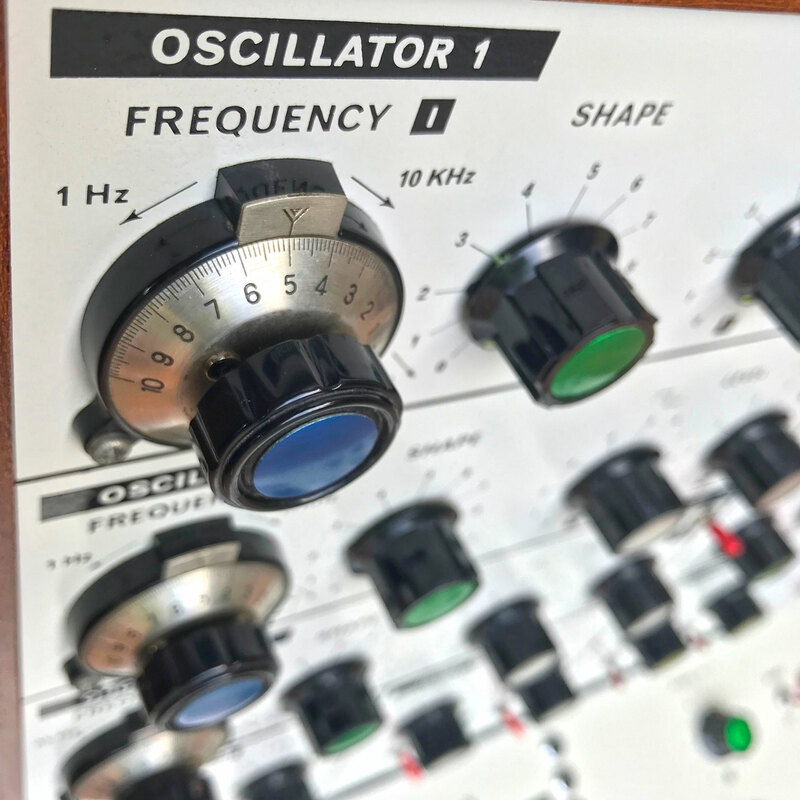 This beautiful VCS3 Mk2 is, without doubt, a ‘collector grade’ instrument, and if we didn’t already own a Putney & Synthi AKS then we’d buy this from the owner for the ‘RL Music Collection.’ Alas, it’s up for general sale and we highly recommend this example to you. 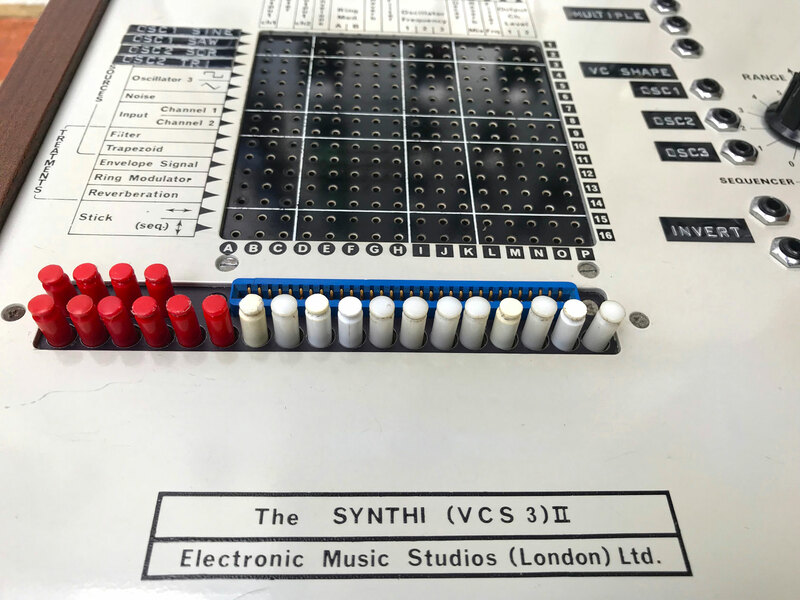 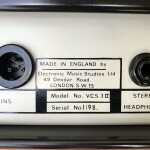 This VCS3 Mk2 operates on EU 220V and is supplied with the proprietary EMS power-cable, a full complement of original Matrix Pins and an assortment of Mini-jacks (as pictured). 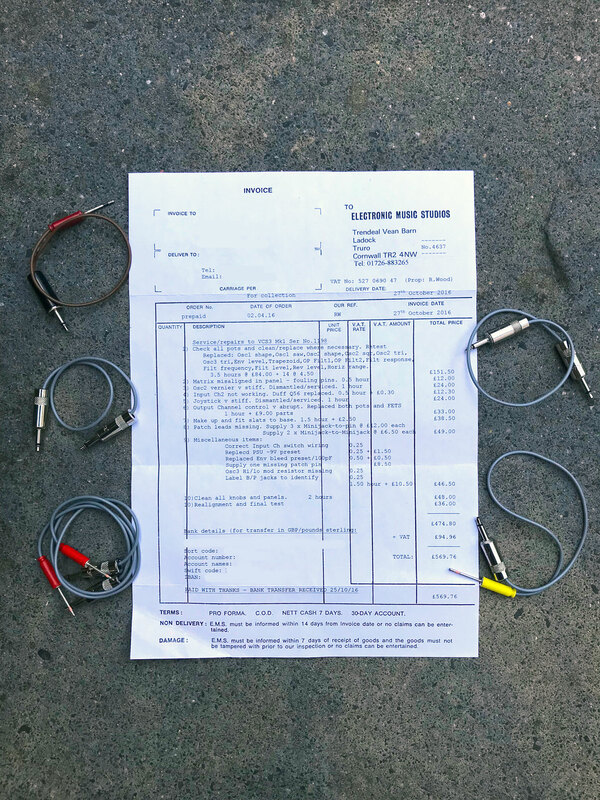 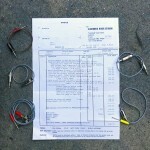 In addition, there is a copy of the bill of sale from EMS (in the PDF), from 2016, that cover the items detailed in the service, and instructions from EMS on the modifications implemented. 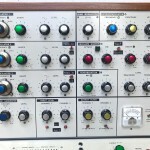 Price: EMS VCS3 Mk2 = £11,990 GBP. 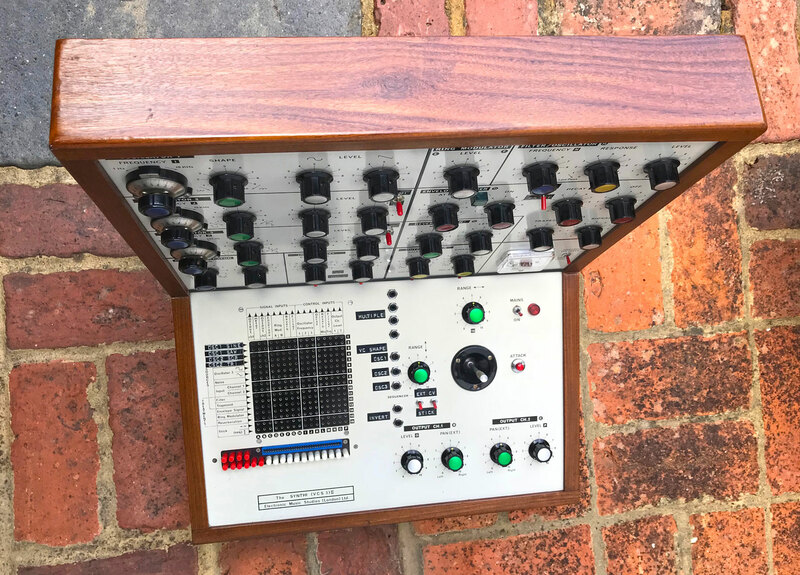 Availability: This EMS VCS3 MK2 is now SOLD, as at 28th October 2018. 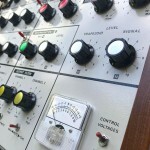 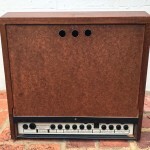 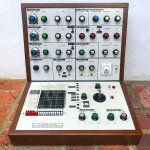 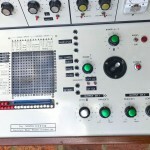 Click on the thumbnail for higher resolution photo of the actual VCS3 MK2 for sale.